In an internal memo, the Google CEO was critical of the comments. GOOGLE HAS FIRED the author of an internal memo defending the gender-gap in Silicon Valley tech jobs as a matter of biology, according to media reports. The move was not officially confirmed by Google. It told AFP that the company “can’t comment on individual employee cases”. In an email to employees, Google chief executive Sundar Pichai supported the right of employees to express themselves, saying that much of what was in the memo is fair to debate, according to a copy of the message obtained by AFP. “However, portions of the memo violate our code of conduct and cross the line by advancing harmful gender stereotypes in our workplace,” Pichai said in the email. Pichai noted that the company code of conduct calls for ‘Googlers’ to do their utmost to create “a culture free of harassment, intimidation, bias and unlawful discrimination”. However, Pichai defended the author’s right to criticise Google training, workplace ideology, and whether programmes promoting workplace diversity are adequately open to all. “The author had a right to express their views on those topics,” Pichai said. Recode, Bloomberg and other media outlets reported yesterday that the author of the controversial internal document was fired. The leaked internal document that triggered the controversy claimed “biological causes” explained the lack of women in tech industry leadership roles. The screed – dubbed sexist by US media – went viral, reviving the simmering debate over a culture of sexism and lack of diversity in tech sectors. “I’m simply stating that the distribution of preferences and abilities of men and women differ in part due to biological causes and that these differences may explain why we don’t see equal representation of women in tech and leadership,” read the 3,000-word memo. According to the author, natural aptitudes of men allow them to become better computer programmers, while women have more “openness directed towards feelings and aesthetics rather than ideas” – meaning they “prefer jobs in social or artistic areas”. In response to the leaked memo, Danielle Brown, Google’s new vice president of diversity, told employees in an email that “it’s not a viewpoint that I or this company endorses, promotes or encourages”. “I found that it advanced incorrect assumptions about gender,” she said. The controversy comes as increasing numbers of women are going public with complaints of gender-based discrimination in Silicon Valley. 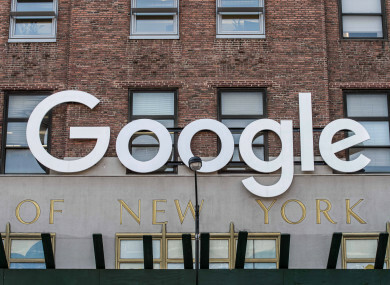 Currently some 69% of Google’s employees are men, according to the company’s latest figures, a proportion that rises to 80% when it comes to technology jobs. In 2016 at Facebook just 27% of senior executives were women. At Apple, around 30% of total employees are women. Email “Google sacks worker who said women don't fill tech jobs due to 'biological issues' in internal memo”. Feedback on “Google sacks worker who said women don't fill tech jobs due to 'biological issues' in internal memo”.